I’ve been a loyal fan to the superhero soap opera that is The CW’s Arrow for four seasons now. I stuck around after the most likable characters dropped like flies in the early seasons. I pushed through what I’ve renamed “The Identity Crisis Saga,” where damn near everybody became a vigilante and had to re-learn who they were. I’ve even learned to tune out Laurel most of the time. B) the most resourceful man in the history of DC. In the comics, the beginning of Arrow and even Justice League Unlimited, Oliver Queen was the heir to a billion dollar company. Sure, he wasted a decent amount of that on living the life of a rock star, but even that couldn’t put a dent in a BILLION dollar empire. But, way back in season 2 of Arrow, Ollie messed up so bad that he got tricked out of the company and had to live off of whatever he had to his name at the time. Then it got bought out by Ray Palmer. Now, to be completely fair here, I have to note that Oliver’s “rainy day fund” was probably more money than any of us will ever make in our entire lives. I’m thinking at least seven digits. So, yeah, if he were to go from CEO to living a “normal” life as an everyday [rich] guy that lays low, takes a few vacations a year and looks into future business ventures, this would all make sense. But this is Oliver Queen we’re talking about here. We all know what he does with his free time. And it’s not looking over the NASDAQ. Let’s go through a condensed list of his presumed expenses from the time he lost Queen Consolidated to now, when he’s all of a sudden decided he wants to run for mayor of Star City. And don’t even get me started on Diggle’s trigger-happy nonsense. Bullets cost money. But based on how much he misses now-a-days, you’d think they had an unlimited supply somewhere. I could justify the first Arrow hideout. They desperately needed one and it was cleverly tucked away in the basement of a property they owned when Queen Consolidated was still, well, Queen Consolidated. It makes sense that it’d still be untouched now. (Not sure who was paying the rent, though.) But in this most recent episode, Ollie invited Diggle, Laurel, and Thea to check out his newly purchased campaign office. It was a moderate space that probably didn’t cost that much. But then he pushes a button and there’s a brand new secret Team Arrow headquarters in the basement. With a state of the art super computer that can probably gain access to everything from your SSN to your third grade school picture in 5 seconds. Oh, did I forget to mention the new costumes that came with the homebase upgrade? Yep. And let’s not forget the multiple costume upgrades and changes [that really aren’t that different if we’re being honest; which we are]. And good costumes aren’t cheap. I didn’t see Slade or Shadow teaching Ollie how to sew back on that island, so I’m assuming he’s outsourcing this work somewhere. Not only do the battle-ready and color coordinated supplies cost money, but I’m assuming the privacy that’s required to make them costs a pretty penny too. Last minute trips to Corto Maltese, Central City, and anywhere else in the world they need to get to for the story to keep going adds up. Yes it keeps happening. And traveling the Queen way isn’t cheap. It usually means you’re taking a private jet. Wouldn’t be all that surprised if they bought that too, but I’ll give them the benefit of the doubt. Now, after all of these expenses have been accounted for, let’s consider that Oliver hasn’t had a new source of income since he lost the company. Sure, he may have walked away with a nice savings, but that number’s steadily getting smaller and smaller with every new edition of “pimp my lair” and costume reboot. So it’s likely that he’s supporting his armory of arrows and bullets with the money he saved/inherited way back when he was a 1 percenter and/or is living off of his new bae/Palmer Tech CEO, Felicity. As far as I can tell, that’s the definition of a deadbeat. Albeit, an heroic deadbeat with good intentions. 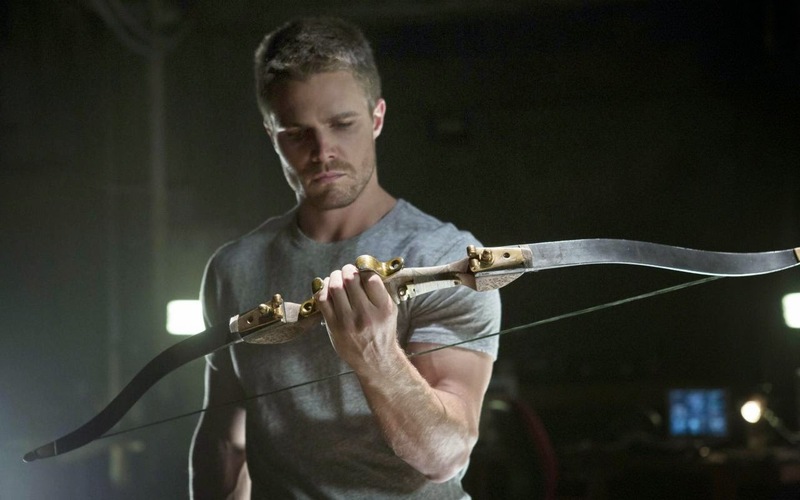 Fact is, Oliver Queen is just another rich kid living off of his privilege. We’ve seen Oliver walking around in brand new fitted jeans, henley shirts, and haircuts for too long now to not know where his money’s coming from. I’m not sure if him being elected mayor is the answer to that. But the issue is simple. Oliver Queen needs a day job. I sinceriously hope Felicity signs a prenup! I bet Thea cuts his hair. She looks the type to do hair.